hot water+ Heating + hot water high performance gas boiler in Sacramento, California In the third image we see some of the reversed return in the solar field. It consists of extending the pipeline to the farthest collector and start running the water from that end , then, through the next closest and so on. This will eliminate the problem of lack of pressure for the last rows of collectors, if the the water entered through the first row. Solar hot water, heating and heated indoor swimming pool in Long Beach, California. 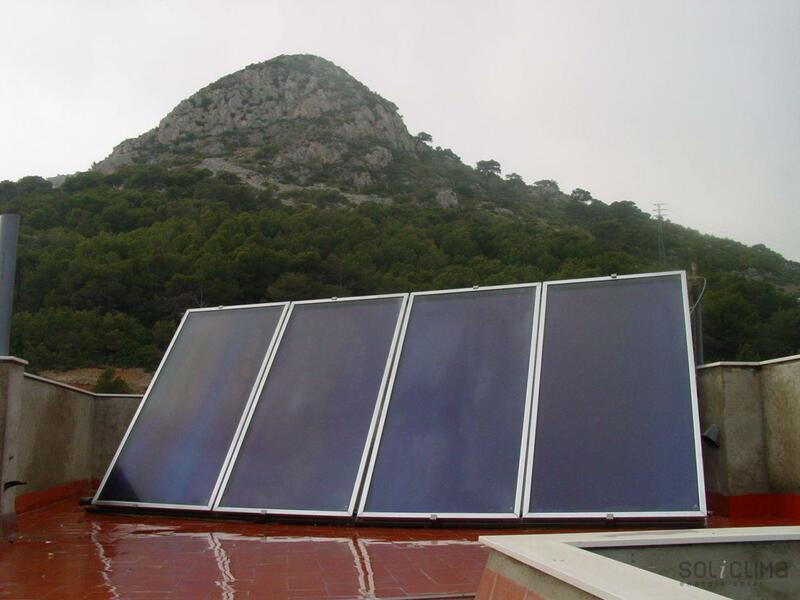 Solar energy can also be used to heat indoor swimming pools. Solar hot water, solar heating and high performance diesel boiler in Oakland, California.There are, basically, two types of solar energy. Solar hot water heating boiler with underfloor heating and high performance Sheboygan, Wisconsin. This building combined solar thermal energy for heating and hot water by installing a radiant floor system and a high efficiency boiler. Solar hot water + solar heating + radiant floor heating + air conditioning in Lubbock, Texas Solar energy can be used, not only to generate hot water, but also to support the heating system in winter, which represents a significant savings of fossil fuels. 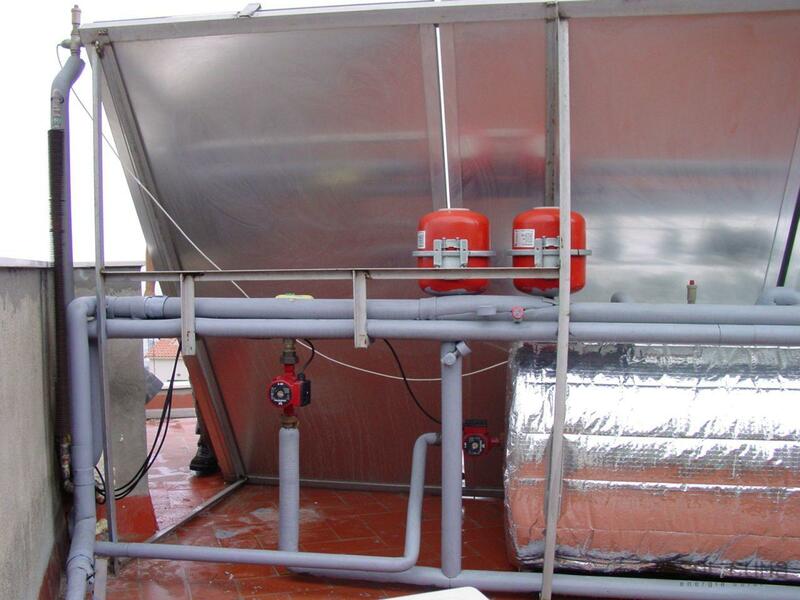 Solar hot water, solar radiant floor heating and gas condensation boiler in Midland, Texas In this building solar thermal energy for heating and hot water was combined with the installation of a radiant floor system and a condensing gas boiler. Solar energy can be used, not only to generate hot water, but also to support the heating system in winter, which represents a significant savings of fossil fuels. The lack of space within this building led to seek for an alternative location for the accumulator. It was placed horizontally, behind the same collectors and perfectly insulated. The radiant floor is used throughout the year, operating as a heating system in winter and air conditioning in summer. 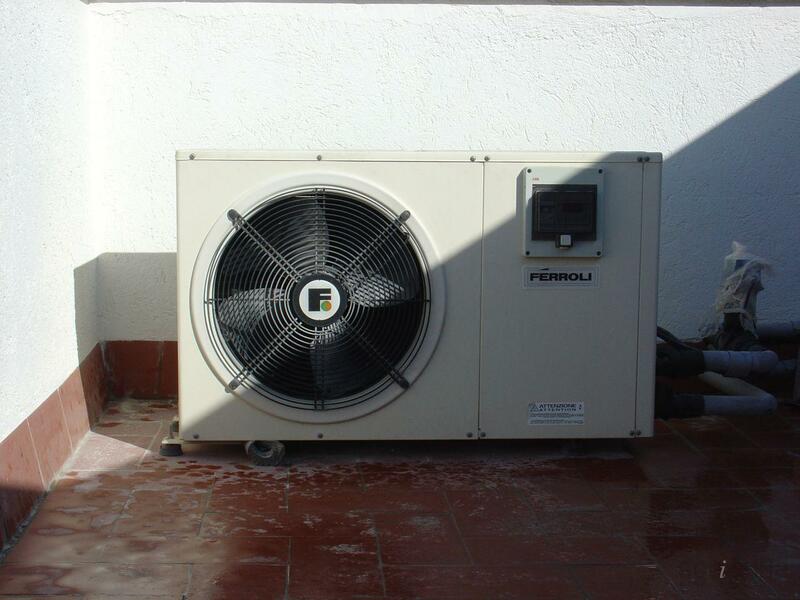 This installation combines a heat pump and a dehumidifying system to prevent condensation inside the house. 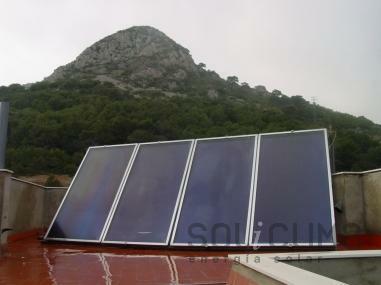 The solar system control regulates the temperature and the operation of the entire system. These devices can achieve a high sophistication level, including being able to send warning emails in case of a malfunction.